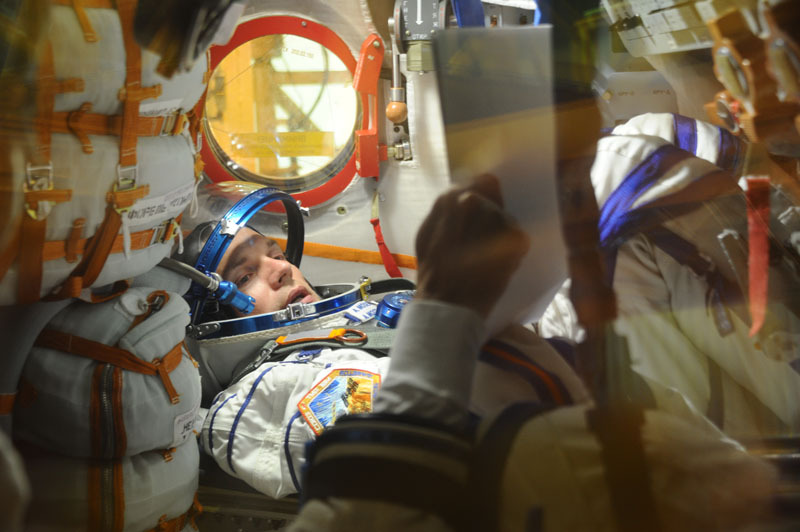 This week’s #IOTW shows European astronaut Andreas Mogensen during a ‘fit-check’ of the Soyuz TMA-18M spacecraft, ready for his trip next week. Mogensen, Sergei Volkov and Aidyn Aimbetov will be departing from Baikonur, Kazakhstan at 05:34 BST (2 September 2015) and will arrive at the ISS 48 hours later. This trip to the ISS will also include two kilograms of rocket (salad) seeds as part of British ESA astronaut Tim Peake’s six-month Principia mission. Read more about Rocket Science. You’re right; you have (kind of). The seeds were scheduled to travel to the ISS in June on the SpaceX-7 flight. Due to unfortunate circumstances, they didn’t quite make it. It’s now only 108 days until British ESA astronaut Tim Peake swaps Earth as his home for the ISS for 6 months. Make sure to keep updated by subscribing to the Tim Peake newsletter and following us on Twitter!